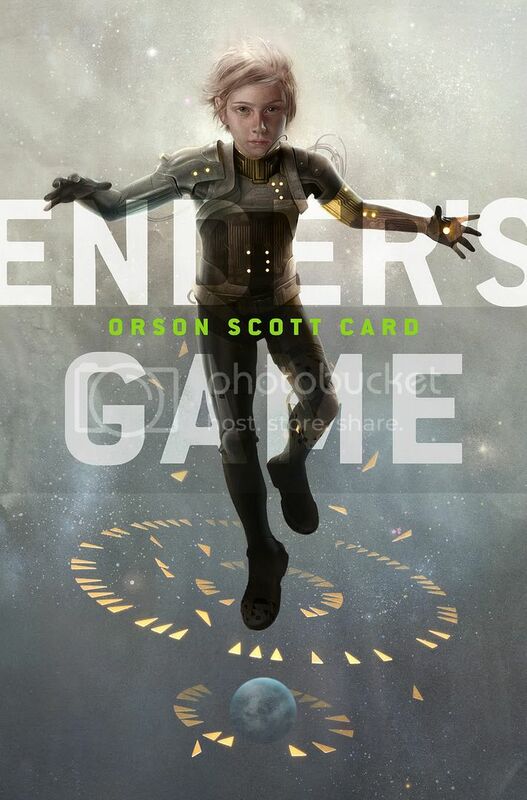 I am very excited to release Sam Weber’s ebook cover for Ender’s Game. This was a blast to work on. For the whole skinny on the how the cover came about, Sam’s thoughts, and a some process pictures, check out the Tor.com article. Wow, Sam Weber's work is just plain stunning. Giving maturity to the eyes of a ten year old is an amazing feat. Very cool cover, I actually just read this for the first time about a week ago. Way better art than on the rendition I read, my only CC' would be the energy/light on the palm. I collect comics and anytime I see something like that I can't help but think about Ironman, had it been on all the fingertips that might have been a nice difference. Overall great design and illustration, Ender looks perfect. Sam's work is wonderful and I really like the design of the whole cover. Very nice. This is the best visual depiction of one of my favorite sci-fi characters ever. Thank you Sam, it;s been too long since Wiggin was depicted so well! incredible cover for a incredible book. and the art on the copy I have is really poor, I'd really love to have this one on an actual book also. I think this is the first time this book gets a worthy cover.Well done! I like this a lot, mostly because I've already been drawn to the series because I've heard such good things about it. Sam Weber's rendition of a new cover makes me want to read it even more now.